Denver — Ware Malcomb announced that construction is complete on a five-story, transit-oriented senior living apartment complex in Denver for which it provided civil engineering services. 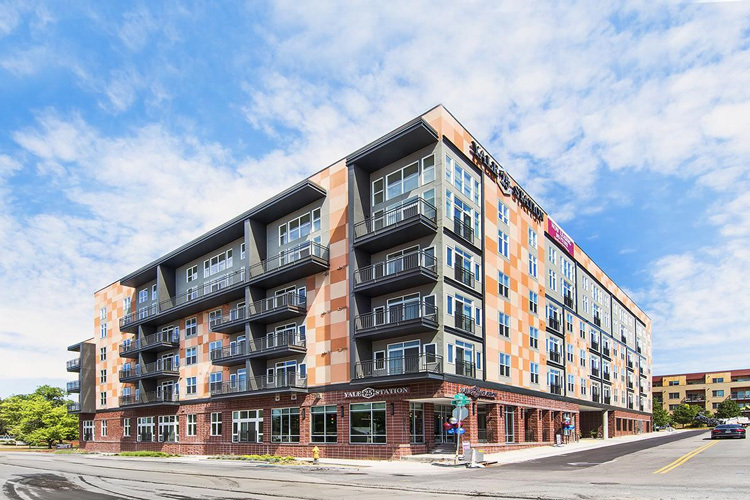 The new Yale Station apartments are ideally located in the heart of Denver close to restaurants, shopping and transportation. The project totals 186,500 square feet including the lobby and underground parking. Due to parking constraints, the site’s stormwater detention vault was split into two parts and connected by pipe. The Ware Malcomb team designed an underdrain system to route water to the detention vault to accommodate the high groundwater levels.